Thank you for the email and your service. Nice to be able to deal with people and a company who gets it right the first time. Dankie vir al jou moeite, dit was ongelooflik lekker. Ek en my familie gaan heel moontlik volgende jaar weer deur jou bespreek! Sal jou vroegtydig laat weet. Sterkte vir die nuwe jaar. Many Many thanks for our most successful holiday. We enjoyed every moment except the one when we had to leave. Now we are at our cottage 600 km north of Espoo where we live. Our first day on skis is over and we start soon to celebrate Christmas. We decided that we will come back next November. I hope that we can rely on Your good sevices. Meanwhile we wish You a merry Christmas and happy New Year. Thank you very much for organizing our four nice golf days. 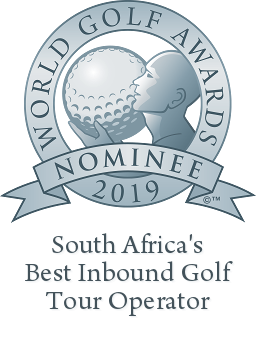 We are really looking forward for our next golfing journey in South Africa where you are on top of the list for planning. So far I don’t see any improvements as everything was perfect. I just saw your ”ANNUAL ULTIMATE GARDEN ROUTE TRIP”, I expect that I will make this trip once with my Golf buddies. So, my pretty lady, you will for sure hear again from me. We just wanted to write and thank you for the excellent job you did organizing and suggesting venues for our holiday in the Western Cape. 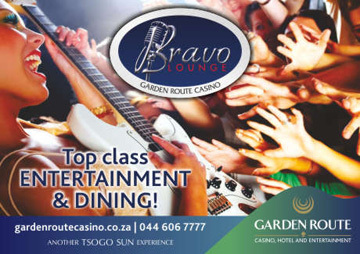 You are blessed with a great venue in the Western Cape and particularly the Garden Route. All our tee times went smoothly with a warm and welcoming approach. Although all the courses were great, our particular favourites were Simola, Oubaai, Outeniqua and Arabella. We particularly enjoyed the Bamboo Guest House in Hermanus, Rose Cottage in Camps Bay and Devonvale of the accommodations you helped us pick. Although we went Bed & Breakfast, we ate in the evenings at Devonvale and the restaurant food, wine and service there deserve a special mention. We’re really glad we followed your prompting to look at some wildlife and had a nice day away from golf at the Knysna Elephant Sanctuary and an overnight stay at Gondwana. Next time maybe we’ll go for some whale watching at Hermanus. Thank you for all your efforts and we shall certainly recommend you to our friends. Well what can I say really!! What a wonderful time we all had, just the weather yesterday but hey other than that it was spectacular. There were no hitches anywhere. Thank you for arranging everything we will definitely be back again same time next year. Thank you for a wonderful service! Everything went without a hitch. I will make use of your service again and will suggest it to others. Thank you for a wonderful trip. We had a fantastic time and the accommodation was excellent. One word of advice though, please supply us with a remote to turn off the wind mills as the wind blew us away, so you can imagine the golf scores. On a more serious note, thank you once again and we will most definitely recommend you to our friends and colleagues. Alles was 100%.Ons het soos konings gevoel om in so omgewing te kan bly. Thank you very much for your bookings – everything worked out well and we were very happy with your recommendations. I Fall in love with the Clovelly and West Lake golf courses. Thanks for all you help in organizing the trip. We had a great time. The golf courses were really nice to play. Our particular favorite were Pinnacle point. Great layout, and for me personally the most fun course I have ever played (even in strong wind :-). Pezula and Arabella were also particular nice. 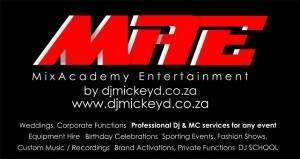 Regarding the bookings you made for us, everything went smoothly. Both hotels and tee times. Thanks a lot. The hotels you booked were all great. Friendly staff and great rooms. I haven’t had the time yet to provide TripAdvisor comments, but will do. Breakfast at the various places were also great. Thanks again for you help and I will recommend you to others who plan to go to the Garden route. we had a very nice trip to SA. All golf bookings worked very well and if we will travel next year again, you will hear from me. we would like to thank you so much for your service. We´ve enjoyed the golf courses very much. 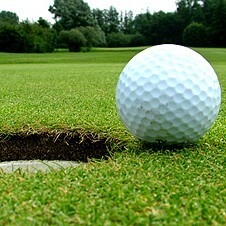 We´ll recommend your service to our Golf Pro in Kiel – Paul Phillips. He´s planning a golf holiday for our golf club at the end of the year in SA. just arrived back in Hamburg. We had a wonderful time in SA. Everything went well and there are noch complains from our side. Thanks very much an keep well in 2015. You will hear from us. of the t-times from you was perfect. Thank you ! We will come back next year. 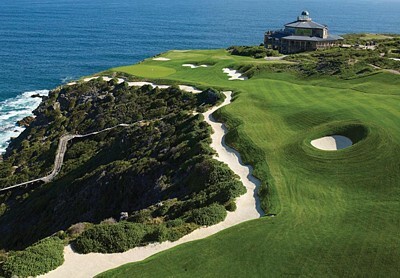 We have just returned to London after a wonderful golf holiday on the Garden Route. As usual your organisation was faultless and the whole holiday was a seamless experience. We are now trying to adjust to freezing temperatures in UK. Once again thank you for your superbly organised holiday. safely back in the snow once again thank you for your care and organization. We enjoyed every bit of it and everything worked out brilliantly. Stay well and have success in your business. We just returned to Germany and I wanted to thank you so much for the great organization. Everything worked perfect with golf and hotels so we really enjoyed our stay. And I found my favourite golf course – it is pinnacle ???? where we probably took a few hundred pictures. Thank you very much for your email. We were also delighted to be able to meet you also. After so many emails sent between us it was great to eventually meet you in person at Knysna. Thank you so much for organising such a brilliant trip. We all enjoyed it immensely and looking back on the whole trip I would give it an A1! 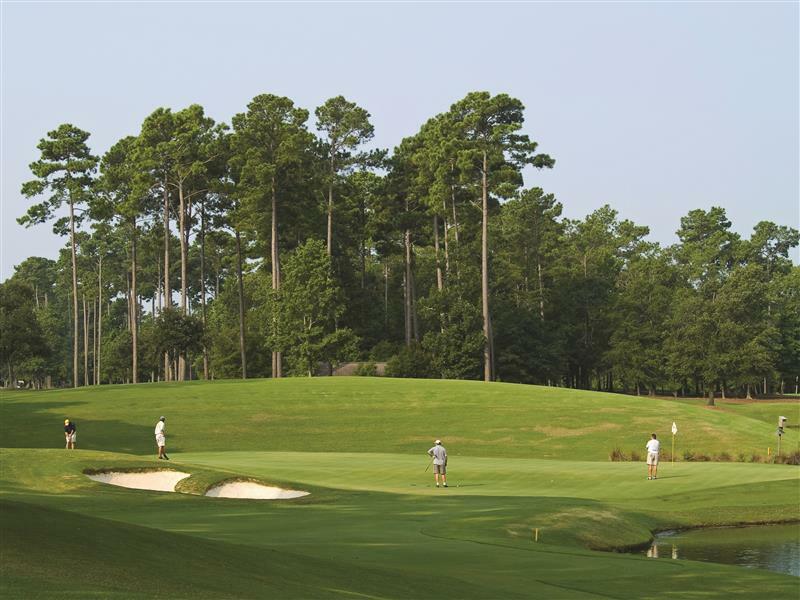 We loved the variety of superb golf courses not to mention the variety of excellent accommodation. I could go on and on! Derek and I certainly hope to be back again in the not too distant future! If I hear of anybody thinking of a golf trip to South Africa I will certainly tell them about you. Wishing you great success in your business. Euan and Seumus are driving back from the most spectacular weekend ever. Not only was the accommodation first class, but the arrangements you made for their golf exceeded all expectations. Could you please convey their thanks and appreciation to the owners of the guest house. Without a doubt they will be back, we will check when Seumus has university holidays as we are hoping it will coincide with your March programme. Thank you so much for everything, you lead the pack when it comes to top notch service. 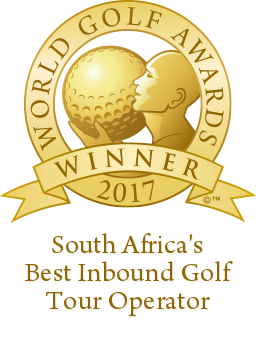 it has all worked out perfectly every time, if we had booked at “Golf in the Garden Route” and will do so again on occasion. We wish you a nice time and all the best. Thank you for the good organisation of the trip to KZN. We were very happy. We thank you for your professional assistance. This was one of the best holidays we had in a long time, ending up playing 8 courses over our ten days stay.We will definitely be contact with you again in the near future. Just arrived at home, I would like to thank you for the perfect organization of our trip to South Africa. All in all we enjoyed your marvelous country very much an we returned home with unforgettable memories. 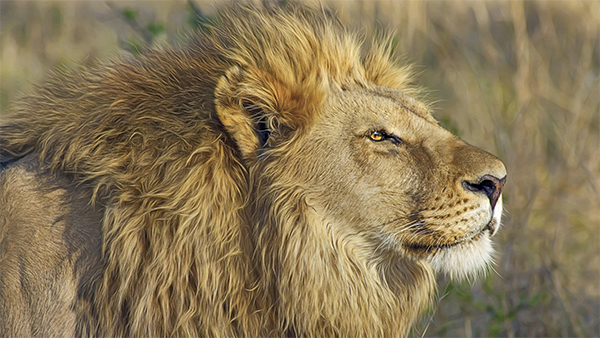 We are aware of the fact that there is still much more worth to visit in South Africa. We would definitely recommend you to friends, if they intend to visit The Garden Route. We are now planing a trip towards Fish river and Grahamstown. We know this is not Gardenroute, but maybe you can recomand some golfcourses. Everything was very good. St Francis was excellent, so I went back the next week for a second round. The guesthouse was excellent and recommended a very nice restaurant in George, the old townhouse. One of the nicest restaurants I been to in SA. I’m already planning for the next trip, but this time I’d like to spend some time in Durban. terugvoer van al die manne was net positief. weer lekker , bane great en verblyf fantasties. sal in toekoms weer gebruik maak van jou en weereens dankie vir al die reelings. 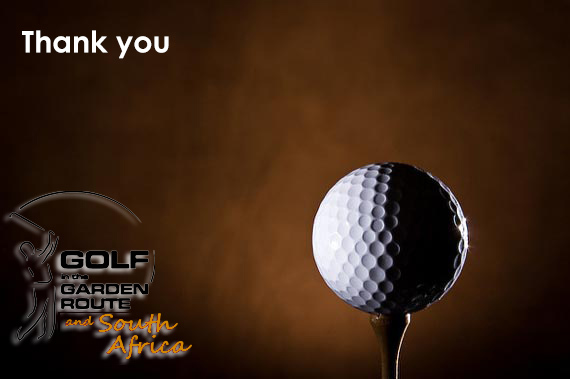 Thank you – you were professional, friendly and helpful throughout and I’d have no reservation recommending you and ‘Golf in the garden Route’ to others. It’s too early to decide where we go next year in South Africa we’ll be using your services. Thanks again for your help and advice throughout our trip. Baie dankie! Ons kon nie vir beter bane, pryse en weer gevra het nie. Almal in ons groep het dit geniet. Ons gaan weer so maak! Ons het jou by al die bane, waar ons met ander groepe gepraat het, jou aanbeveel! Hi Mariska – We back home from our golf tour! Just want to say thank you for all your efforts in our bookings (esp. all the changes at last minute!). The boys had a fantastic time and all went smoothly. In particular the accommodation at 21 Anchorage @ Pezula was fantastic and perfect for our tour needs! Please let Tina know! Boys can’t wait for next year!! We would next year like to play all three rounds in the Knysna area. Is that possible? Pezula / Simola a must! Thank you so much for your excellent work in organising our trip. Everything went off perfectly and the accommodation was lovely. We will be back and look forward to recommending your services to other golfers. We had a fabulous time… thanks you so much! Will get hold of you next year when we organise the next one. I would like to take this opportunity to thank you for all the effort you’ve done ensuring our golf tour went about without any problems! It was truly a pleasure to do business with you and rest assured when we’re going down to the Garden Route again, I will contact you. Have a great day. The courses are excellent – we all thoroughly enjoyed them. 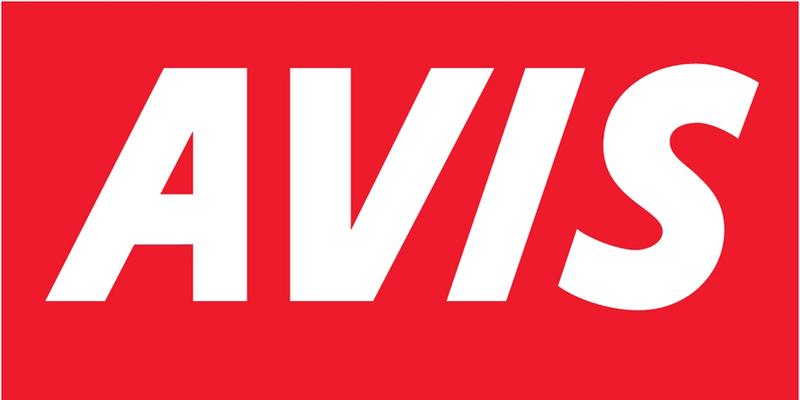 The service was exceptional s well. We sincerely appreciate all your assistance. We looking to do a trip to George next year around the similar time – maybe a week earlier. Just a quick note to say thanks for the trip. Had a lovely time and the courses were quality. I will use you again. I’m off to play some more golf. Talk soon Thanks again Eddie. We arrived back in UK today to find falling snow and below zero temperatures. This made our holiday far more memorable than we expected. Elizabeth and I would like to thank you for your excellent arrangements that went without a hitch. You are very well known in the golfing world in South Africa. We will be coming back as soon as possible. Eerstens wil ek weereens vir jou BAIE BAIE dankie se vir nog n great road trip. Dankie vir jou reelings, moeite en vir die feit dat jy elke deelnemer spesiaal laat voel. Min mense het die gawe om dit te kan doen. Wil net dankie se vir die golf en al die reelings ,julle was regtig topklas en daar is absoluut geen klagtes van ons drie af nie. Ek sal julle enigetyd aanbeveel aan mense in die golf sirkels. Ons moet vir jou se BAIE BAIE dankie dit was weereens absoluut die moeite werd, en geluk aan jou en Shanon vir julle goed gereelde toer ons het regtig niks gehad om oor te kla nie. Wou net graag se dat ons die toer uiters baie geniet het. Dankie vir jul goeie reelings, ons kom defnitief volgende jaar weer. We are back from a really memorable holiday.All golf – booking went perfect and we would like to thank you very much for your excellent service. From the eight of us, just a word of thanks in the way that the bookings was done at the various golf clubs. We have not experience any problem at any club – just a warm welcome. 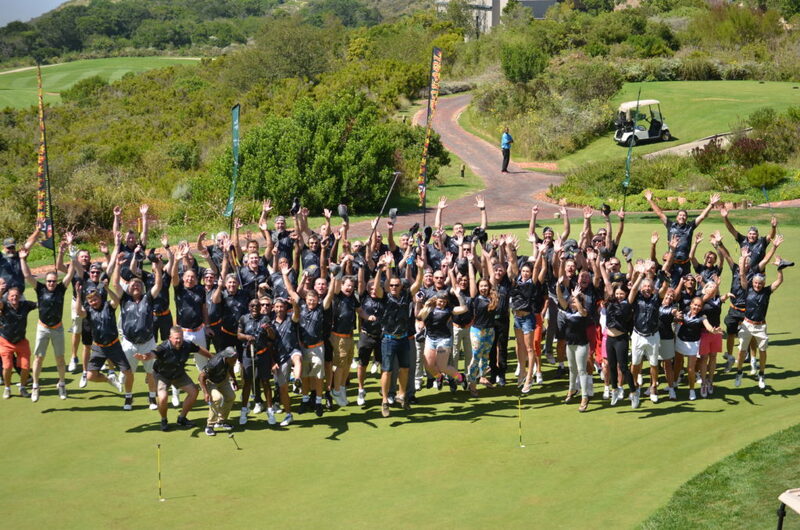 We will definitely make use of your company service again when we want to play golf on the garden route. Thank you for arranging our tour in such a way that made me look good in the eyes of our clients, whereas I had in fact very little to do with it. It was YOUR success. Thank you on behalf of the entire group – everything went smoothly:no problems at all. Its not always easy coordinating a large group with constantly changing numbers but all went well. Many of the group were 1st time visitors to RSA – they loved it and intend to return as soon as possible. Our next two trips are to Scotland and Australia but I will suggest we go back to RSA after that. My friends and I enjoyed our golfing in the garden route. We played in 11 days 6 rounds, which are booked with you. All terms where punctually and we had a lot of fun. Next year I will guide 10 Persons through the garden route. The booking for golf I’ll do with you. If it doesn’t function, I’ll go alone or with my wife to visit South Africa. Many thanks’ for your support. I’ll keep in touch with you. we’re back in Germany. It was a very nice journey and I like to thank you for your very good job. Everything was perfect arranged and we. Had wonderful days in Southafrica. I think we will come back and we book our golf package from you. Thanks for organising our Tour. It was fantastic. I think the guys really enjoyed it and the weather was also great. Oppieesee is just a magical place – please send our regards to Jan – it was just perfect. The Golf courses were awesome – I personally did not play too shabby and won the Golf on the Tour – so I was very happy. It is difficult to say which one of the courses was the best – I enjoyed everyone of them. It was just such a nice mix with George to finish it off. Baie dankie, die manne het hulle gate uit geniet, en alles het glad verloop sonder enige probleme. Baie dankie vir al jou reelings, ek sal sekerlik weer volgende jaar hierdie tyd op jou nommer druk..
tomorrow our Golf trip ends! Thank you you for your professional arrangements! everything was beautyfull and without any problems. We enjoy realy our hollidays. Thank you for your assist and for the bookings. Next time allways with you! Thanks very much for all your preparations for our golf trip. All was most satisfactory and well organised. We are all safely back in Germany. Was just a perfect road trip. Very nice to meet you personally as well. Many thanks to Rod as well. Once again I would love to thank you for spoiling us during our golftrip in the Garden Route. The courses we played was amazing as well as the accomodation. I would also like to thank you for the additional sleeping arrangements that you made for myself. Thank you and please keep me up to speed for any fun activities. I love your area. Baie dankie vir die sukselvolle gholftoer. Die manne het hulle gate uit geniet!!!! Chris, James, Kobus & Marais kan nie ophou praat oor die toer nie en beplan al klaar volgende jaar se toer! Die great om die manne so vervris en opgewonde te sien. Thanks again for the good organization and before we make a plan for travelling the Garden Route we will definitely contact you. May be next year Jeff Clargo and I will joining you for the Golf Garden Route Week. We had the most fantastic time,everything you organised for us was first class!! We will return again sometime and I will be in touch!! Now that I am home and back in Israel, I just want to thank you for the wonderful arrangements and treatment that I received from your company. We had a great time and truly enjoyed the golf and the accommodation. Jou goeie diens verstom my! Ek het nog nie eers behoorlik uitgepak nie. Ons het n fantastiese week daar by julle gehad en ek sal met absolute vrymoedigheid GITGR by almal aanbeveel. Alle reelings het seepglad verloop en orals is ons uiters professioneel ontvang en behandel. Die gholfbane is topklas en julle is regtig in n unieke situasie om so baie puik gehalte bane so bymekaar te he. Op pad terug het ek by n vulstasie stilgehou en toevallig n tydskrif (“SA WOMAN GOLFER”) oopgeblaai en op “the ultimate golfing road trip” afgekom – presies ons roete (behalwe vir Mosselbaai). “Ultimate” was dit beslis!!! Baie dankie vir GITGR !!! My seun en ek het beide n ongelooflike week gehad. Dit sal ons beide bybly so lank ons nog leef !!! From myself and the rest of the team, thanks for a well organised and arranged tour. Everything was as planned, which allowed us to focus on what we came down for – To play golf. Thanks again for your help, and we will definitely contact you should we come for another tour in your area. Thank you for arranging our golf games, everything went smoothly and we thoroughly enjoyed ourselves. We will certainly contact you again when we next visit your area. 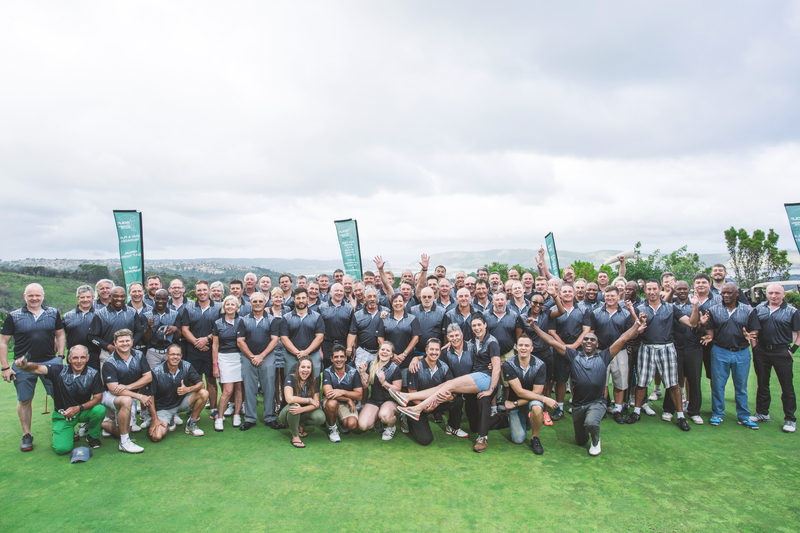 Thanks for the organising of our golfing-trip through the Garden Route. It was very nice and everything worked out nice. We just returned safely yesterday. If you have offers like the above mentioned (Ultimate Golfing Road Trip) fot next year please let me know. we are now back in Sweden and it is very cold and very much snow. Coldest winter since 1986. Thank you very much for making our stay in SouthAfrica nice with very good hosting and golf. I am more than satisfied and will definitely contact you again if we plan to come back and visit your country. I have recommended “Golf in the Garden Road” to all friends I meet and I will continue to do so! Please send me special arrangements if you have such things in the future and I will continue to look into your website. We are back home in UK now, had a great time in SA and everything went well with our golf in the Garden Route, although we managed to change our golf days at Pinnacle Point and George due to ‘torrential downpours’………..much needed I know but it did rain for 5 of the 6 days we were there……though not when we played golf,so all was well. 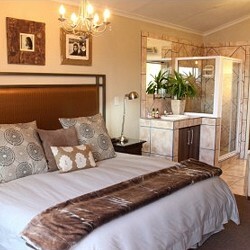 We will certainly consider using your company again when visiting SA although we might choose different accommodation. 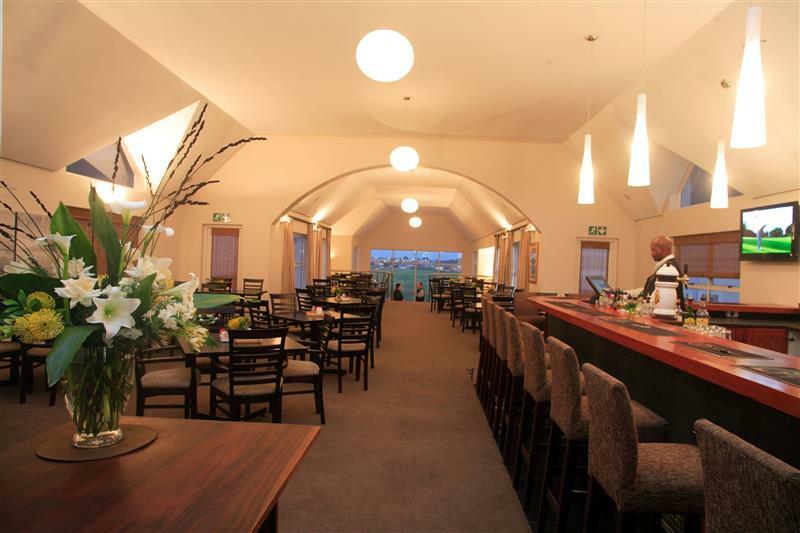 The Golf Lodge and Town Lodge were very nice but didn’t quite meet our needs…..but it was all very good value. Mariska, jy was ‘n ster, dankie vir wat jy alles vir ons gedoen het. Laat weet my van enige skade wat ons by Ambleside of in die dorp aangerig het sodat ek kan goedmaak! As daar geld oor is wil ek he jy moet ‘n ekstra R 1000 vir jou moeites uithou. Weereens dankie. Sien uit na ‘n volgende keer.